This entry was posted in 1911, Grip, Guns, Springfield XD9 by Sadie. Bookmark the permalink. 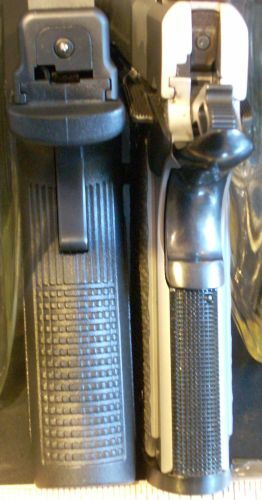 I was wondering if you tried an XDM with the interchangeable back-straps? 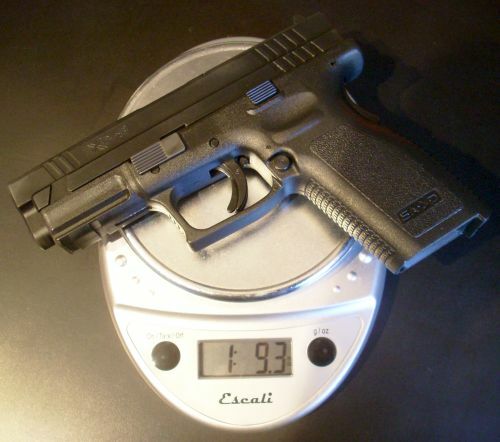 My wife also has very small hands and she really likes her XDM 3.8 with the smallest insert. Very nice 1911 BTW. I think I’ll pick up some slim grips for mine and see if it fits my wife better. I don’t have access to an XDM, so no I did not try one. I did try an H&K P30 with the smallest grips & backstrap and still found the smallest grips to be a stretch for my hands (see video below for how these can be adjusted). I think that the extra weight of the 1911 is making a bigger difference in my ability to control the gun than the decreased width. It’s possible that may make a difference for your wife as well. 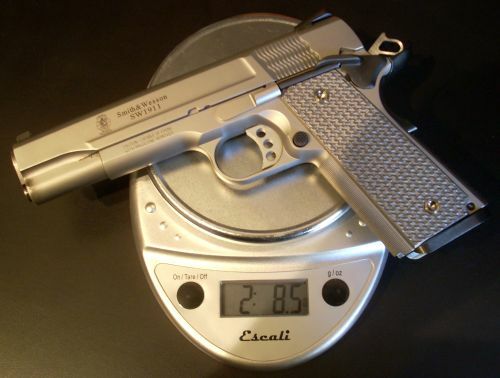 Someone mentioned weighted grips to me, but I think my 1911 is close to the IPDA max weight already.